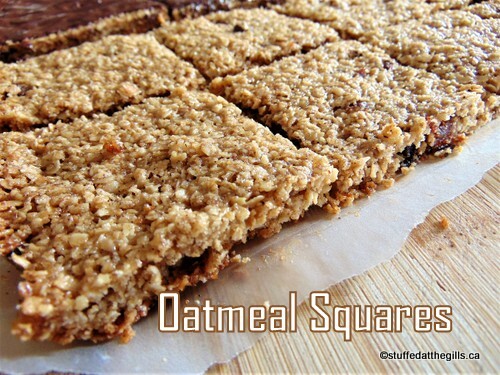 Are these Oatmeal Squares cookies or a crackers? You decide, but whatever you call them don't forget to call them tasty! 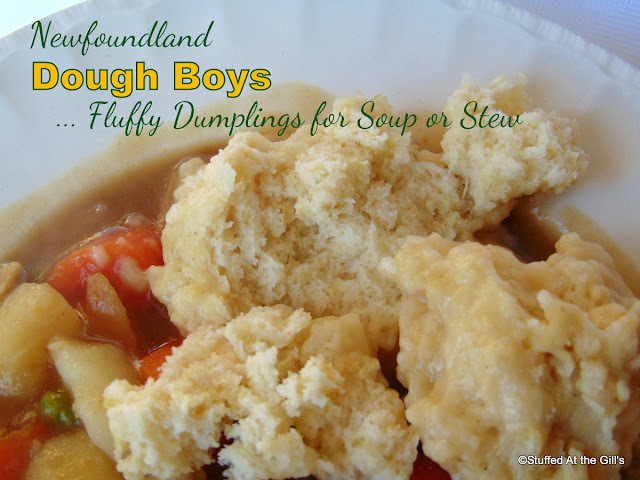 I don't know where or from whom this recipe comes. 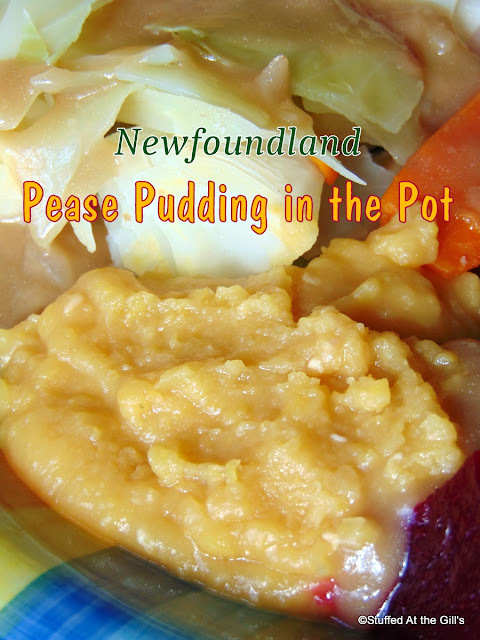 I've had it some years now and always look upon it fondly when looking through my recipe files. 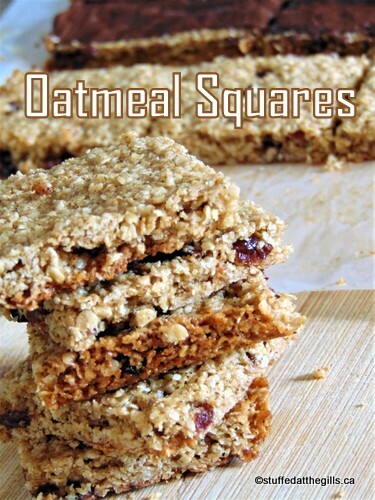 These Oatmeal Squares are tasty little (or big) morsels somewhat reminiscent of a Nova Scotian Oatcake but unlike most recipes for the oatcakes this one doesn't use flour. 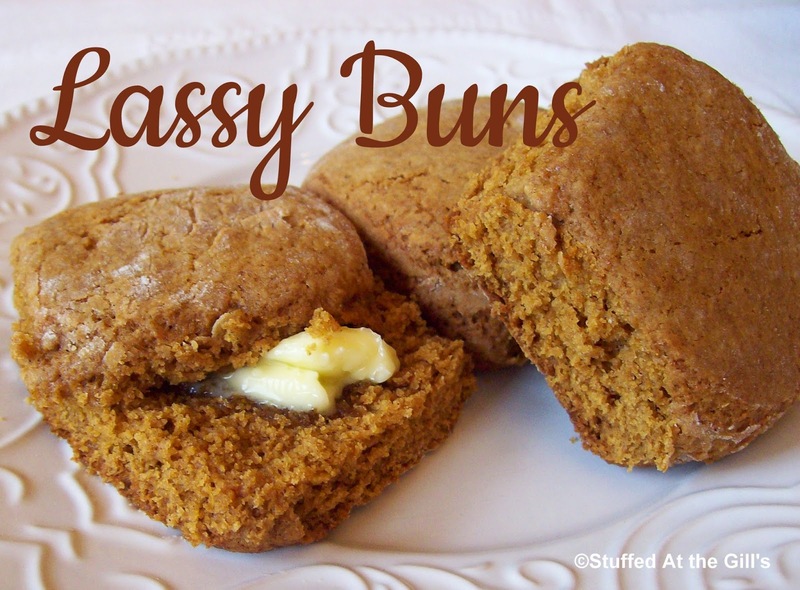 They make a dandy snack or lunchbox treat and go well with a glass of milk or cup of tea or coffee. They also take well to a chocolate coating. 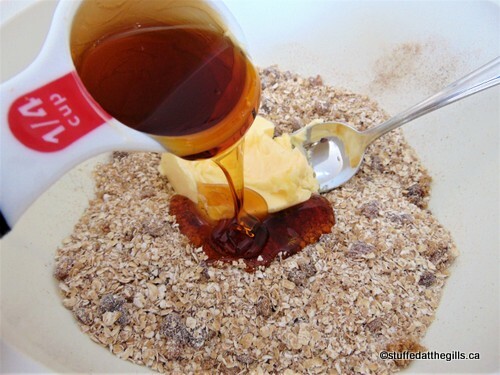 The original recipe called for instant oats but I never have those on hand. It's just as easy to whiz the oats in a blender and make my own version of instant oats. If you use gluten free oats you'll be able to serve them to any family or friends who may have a gluten intolerance. I've also made these vegan very successfully using vegan margarine in place of the butter. Preheat oven to 350 degrees. Lightly grease or line a 9x9-inch pan with parchment paper, if desired for easy removal. 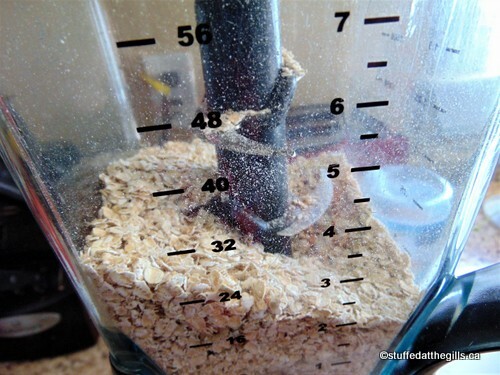 Whiz oats in blender for 5 or 6 seconds until broken up but not completely powdered. 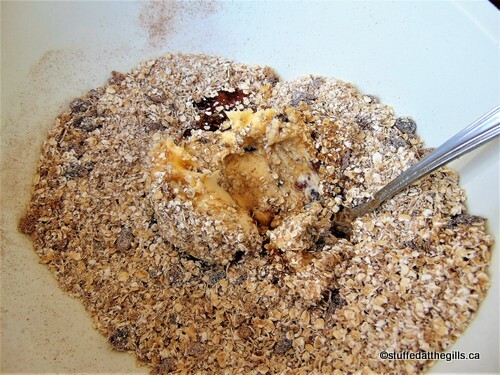 Mix blended oats, chopped raisins, brown sugar, salt and cinnamon in mixing bowl. Stir in butter and corn syrup. Stir and mix until well combined. You may want to use your hand for this. Press into prepared pan. Bake 20--22 minutes or until golden. For crisp squares bake the full 22 minutes. For slightly chewy squares bake 20 minutes. Do not burn. 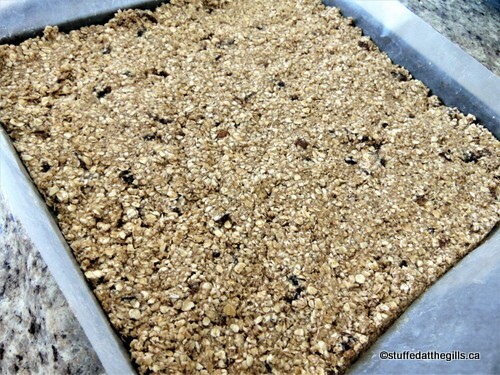 Remove from oven and let cool a few minutes before cutting into squares or bars. Let cool completely. 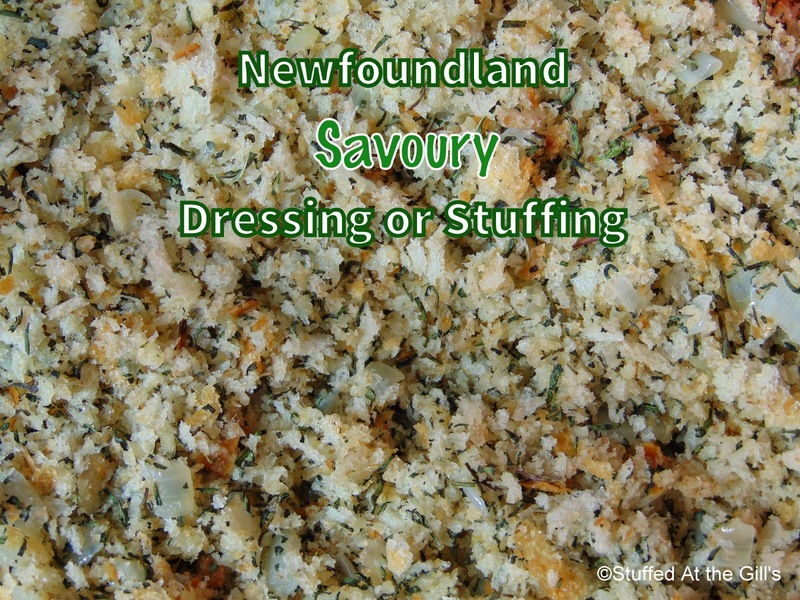 Store in airtight container to keep crisp. 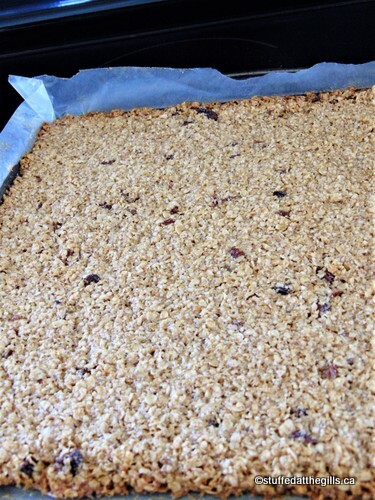 Chocolate Topping: If desired the Oatmeal Squares may be sprinkled with ¾ cup of chocolate chips as soon as they come out of the oven. 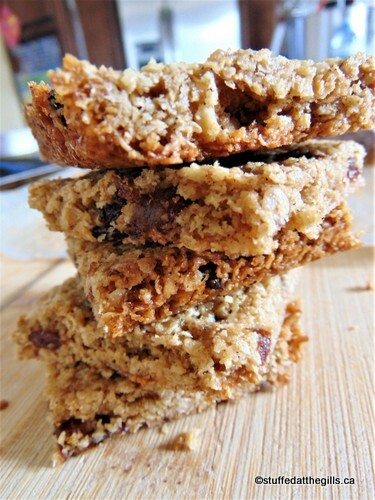 As the chocolate chips melt, spread over the uncut bars. 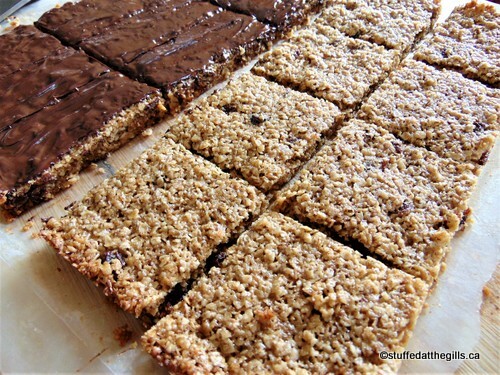 Cut into squares or bars while warm. Let the chocolate set before eating. 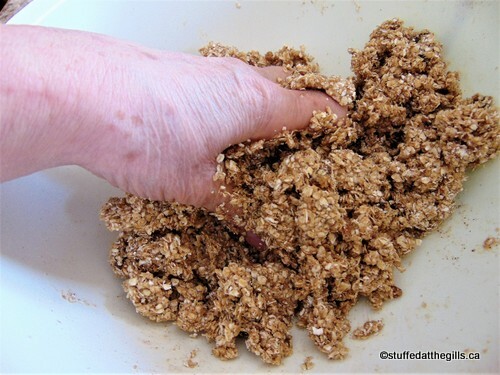 Whiz the oats in the blender for a few seconds but don't pulverize them into powder. 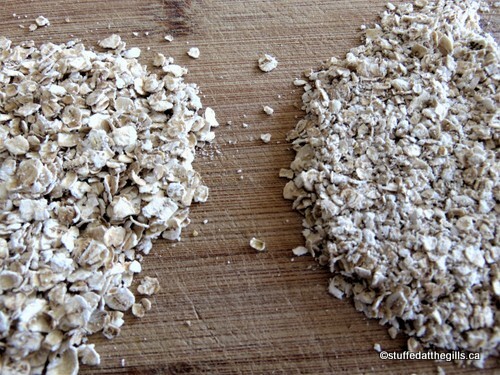 On the left oats from the bag. On the right blended oats from the blender. 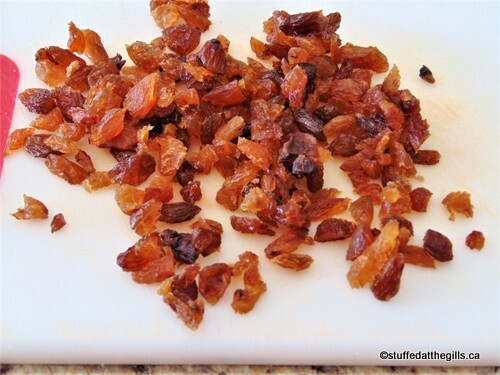 Give the raisins a rough chop with a sharp knife. 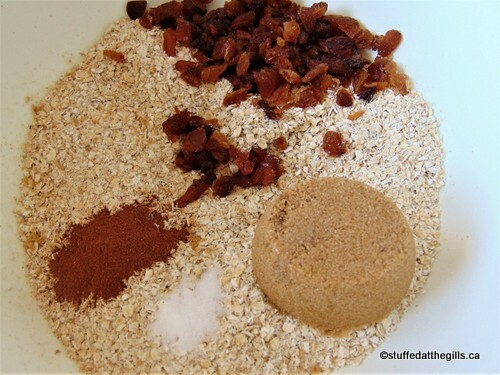 Mix all dry ingredients and raisins together. Make sure you break up any lumps in the brown sugar. When all the dry ingredients are well mixed add the very soft butter and corn syrup. Forget the spoon. Dig right in with your hand. Spread the mixture in the prepared 9x9-inch pan. I like to line mine with parchment paper. 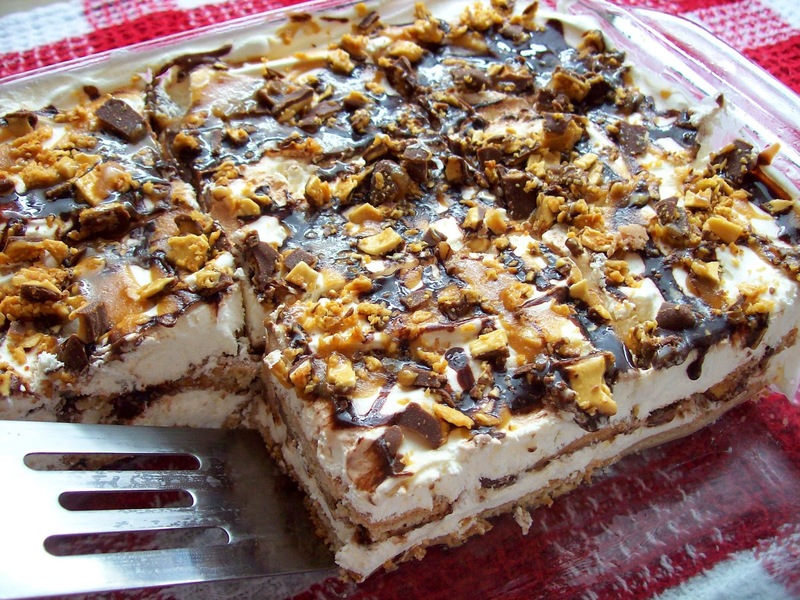 Bake 20-22 minutes to desired crunchiness. Don't let your squares burn. 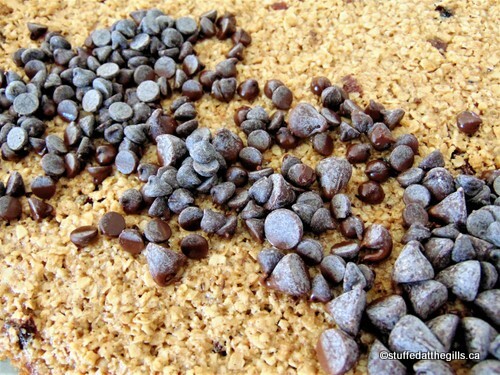 If you'd like a chocolate topping now is the time, while the squares are still hot, to sprinkle on the chocolate chips and let them melt. As soon as the chips start to melt spread them around on the top. I did half with chocolate as requested. Cut the squares while they are still warm. 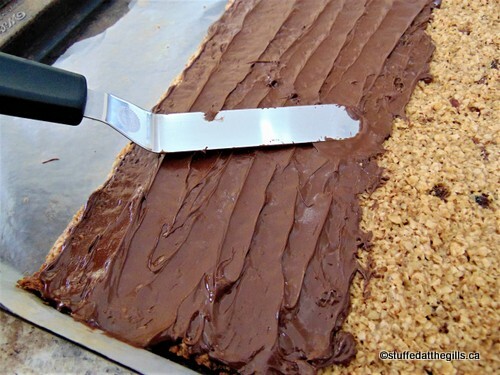 Cut them in squares or bars. I like them best without the chocolate. Now are these a cookie or a cracker? Crunchy or slightly chewy, either way these are scrumptious!